Ten years after their first world title together in the class formative years of the class in Lanzarote, Quantum Racing today lifted the Rolex TP52 World Championship crown in Cascais, winning a spirited ding-dong battle with rivals Azzurra in the typically muscular Atlantic breezes that the Portuguese hotspot has long since been renowned for. 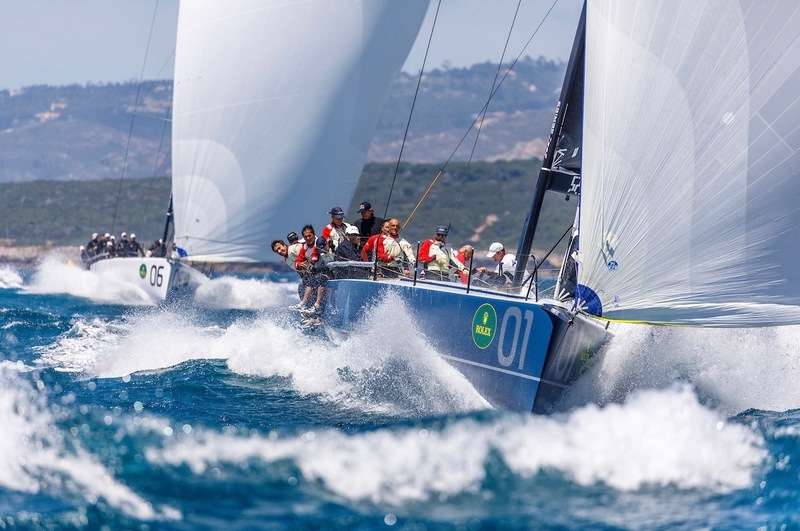 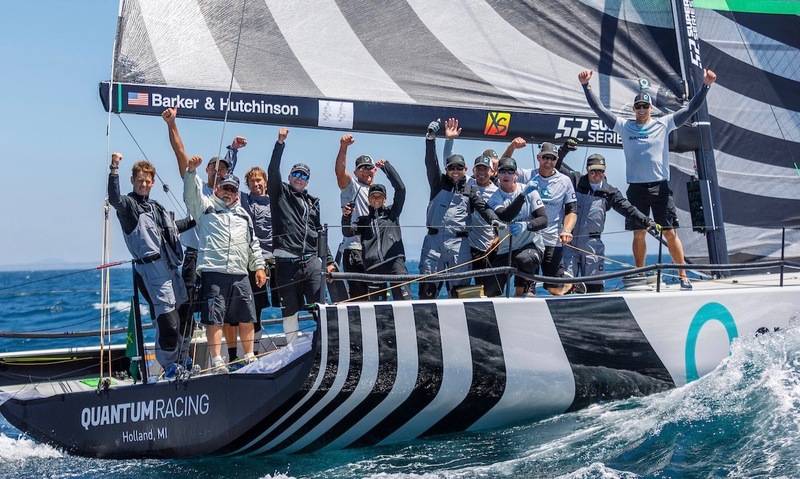 Over the course of the nine-race world championship regatta Hutchinson and the Quantum Racing afterguard had deftly and doggedly turned modest positions into premium points scoring top three positions, only to then lose those places to rivals’ runway downwind gambles. 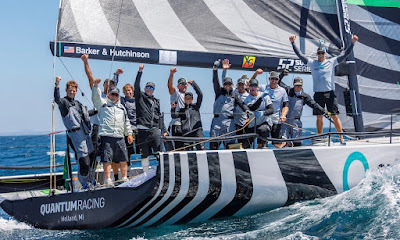 To bear witness to the Quantum Racing’s release, and pleasure, as they crossed the line to clinch the title underlines once again what makes the ultra-competitive Hutchinson tick. 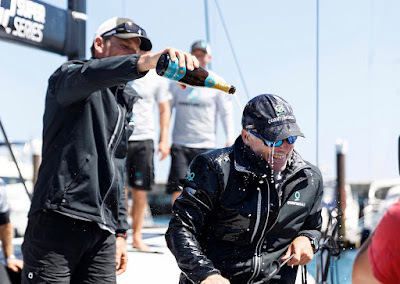 “Of course you’re only as good as your last race, and fortunately for us right now that was a win. But you can’t say enough about the effort that the entire team did. 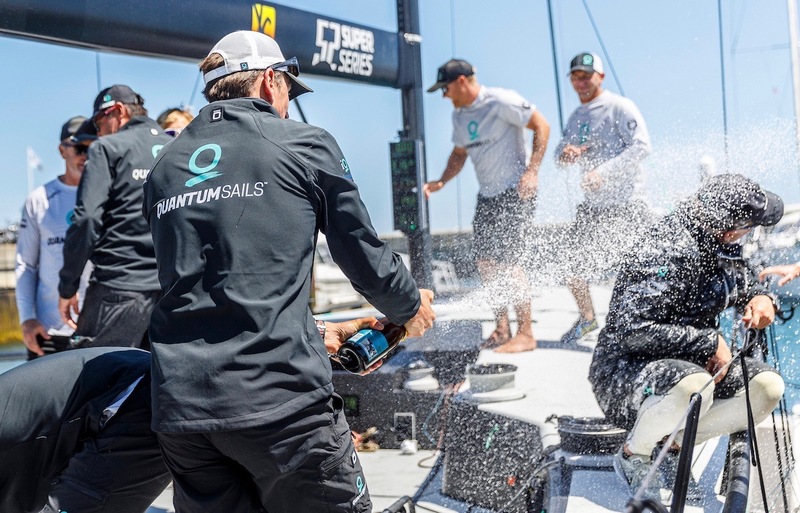 This isn’t an individual win, this is a full team win: the shore guys, our sail program, everything that we’ve done here is with an eye of continually improving,” he said. “If you had to say as you look across the fleet: Sled is going quite well, Alegre as well, the step up across the fleet compared to last season is quite impressive. It is swings and roundabouts, but there’s some really good teams. 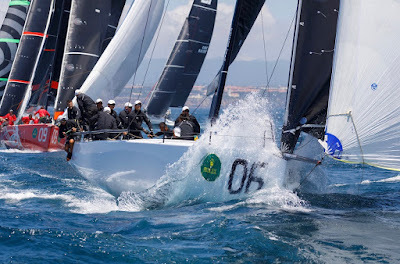 I think we coughed up 15 points at the last regatta. 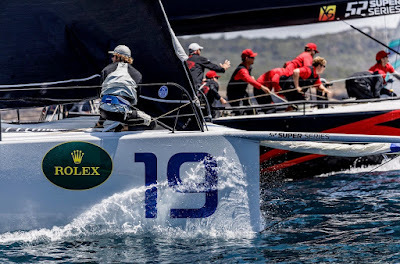 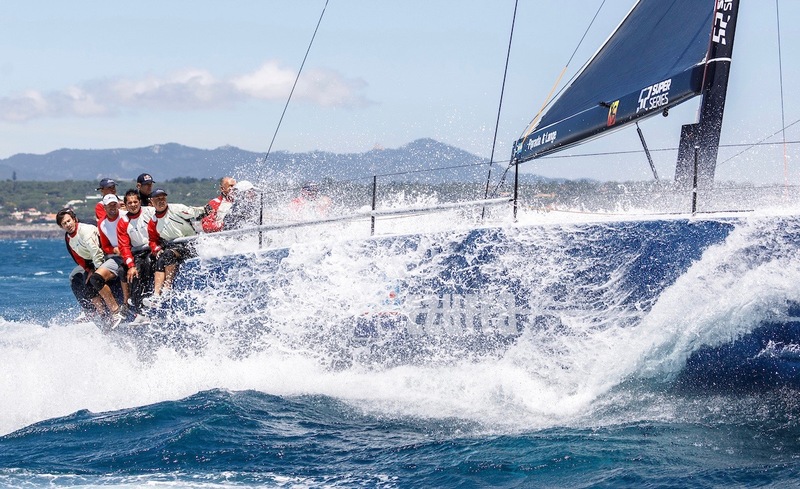 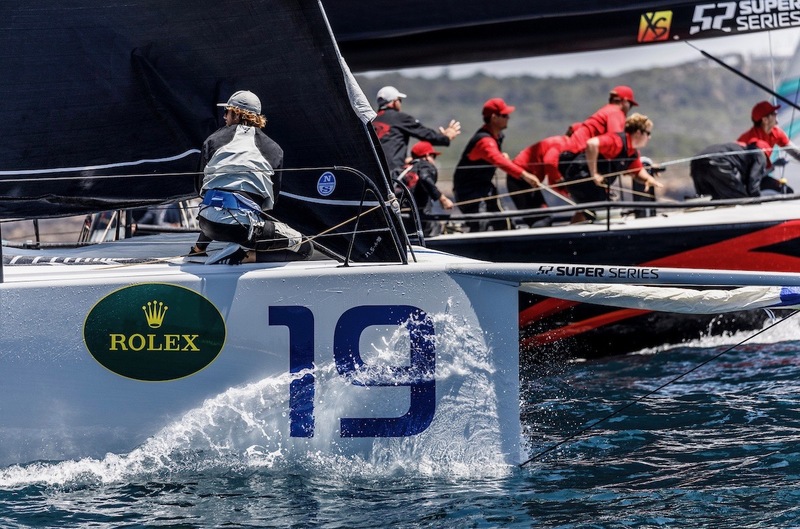 You are never too far away from having one like that, and the fleet is good enough that if you make a mistake in a race or two they pounce on you really quickly,” he added.